I am a baseball fanatic. The game captivates me. It provides links to my past, present, and future. I dream of my own children falling in love with the game. Given my love of baseball, it’s not surprising that this summer’s movie “Million Dollar Arm” caught my eye. The premise of the movie is that there could be a high return on investment if the star of the film can turn cricket athletes in India into major league baseball pitchers in the U.S. Baseball and cricket are vastly different, but they both use bats and balls. And the “pitcher” in baseball and the “bowler” in cricket deliver the ball with an overhand throwing motion. So, can you develop a cricket player into a baseball player? They pretty much do the same thing, right? As the career path of “philanthropic development professional” has grown over the past decade, managers have had to ask similar questions when it comes to developing talented employees. Can I develop a sales professional into a philanthropic development professional? They have cold-calling experience. They have great personalities. They are driven and have a great track record of getting in the door and closing sales. Can they become great at development? I’ve heard this question answered both negatively and positively. Unfortunately, when it’s answered negatively, the manager has delayed quality results by a year or more, an employee is miserable and looking for a new career, and the hiring manager is back at square one and looking for talent in an even smaller pool of potential employees. Understand the work ahead. Both the hiring manager and the new hire must have a shared expectation of how hard they’ll both have to work and train together in the first two to three months to prepare the new hire to be successful. Address mental challenges. While metrics and spreadsheets can measure the progress of a new hire, they don’t capture the new hire’s personal mental reward assessment. Talk about the types of things that motivate the new employee. Help them understand the differences between the rewards they received when closing a sale and the rewards of knowing they’ve helped someone reach their goals through philanthropic consultation. Simply talking about those differences has a positive effect on new employees as they adjust to the new pace of their expected “sale” while maintaining their previous pace of developing relationships. Lay the plan out on day one. Successful sales professionals assess themselves every day. As a manager, each day is vital as you empower new employees to grow into their role. A training plan that includes practicing cold calls and visits, a safe space to discuss questions, and a direct conversation about the differences between past experiences and future expectations can make the difference. Highlight strengths. Successful training facilitators highlight the trainee’s professional qualities, such as drive, initiative, and personality. Successful facilitators also show how long-term success is not found in short-term commitments, and how their own feelings of fulfillment through successful outcomes will be different in their new role. Be a team. Let the new hire shadow a more experienced employee on a visit. Build confidence in the new employee by sharing some prospects who are ready to be solicited. Can a sales professional become great at development? Yes! With training that addresses the day-to-day duties of a position while also focusing on the mental retraining of success measurement and motivation, professionals without backgrounds in philanthropic development can hit it out of the park! 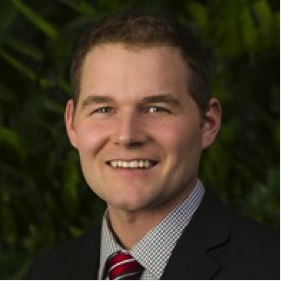 Kyle Buchmann is the Managing Senior Director of Development for corporate and foundation relations at the University of Wisconsin and been active in training, coaching and business development in his current and previous roles outside of the organization.